The Harrisburg Senators (76-64) routed the Richmond Flying Squirrels (69-71), 12-3, in front of 7,946 at The Diamond on Saturday night. The loss negates the opportunity for the Squirrels to post their second winning season in Richmond. The Senators lowered their magic number to claim the Western Division regular season title to at least two with Erie still playing. Jarrett Parker gave the Squirrels the first lead of the night when he led off the second inning. Parker cracked a solo-home run to right field off of Harrisburg right-hander Nathan Karns. Parker extended his own team-record with his 18th of the season, putting Richmond in front, 1-0. Walks finally caught up with Squirrels’ right-hander Craig Westcott as Harrisburg snatched the lead in the third inning. Westcott put Billy Burns and Justin Bloxom on with his third and fourth walks of the ballgame. Ricky Hague knocked them both in for a 2-1 lead with a two-out single flared to right field. The Senators chased Westcott and broke the game open in the fifth inning. Brian Goodwin got things started with a one-out double. Westcott then hit Steven Souza before Bloxom singled to load the bases. Hague knocked in his third run of the night with a single to left field. Westcott then walked Sean Nicol to force in a run and was lifted from the ballgame. Right-hander Jose Valdez came on and couldn’t put out the fire. Brian Jeroloman greeted him with a two-run single into right-center field. Valdez recorded the second out of the inning, but Karns recorded a single – his first professional hit – to plate another run. Valdez then issued back-to-back walks to Burns and Goodwin – both batting for the second time in the inning. Souza finally supplied the exclamation point in an eight-run inning with a two-run double to right-center field. Valdez was charged with three of the runs as Harrisburg took a 10-1 lead. Westcott (5-12) took the loss in his final start of the year. He surrendered seven earned runs on five hits over 4 1/3 innings. He walked five and struck out five, suffering his 12th loss of the season. Harrisburg added a run off of left-hander Phil McCormick in the sixth inning. Jeroloman swatted his second double of the night to bring home the run. They capped their scoring with a run off righty Edwin Quirarte in the ninth inning. Souza knocked it in with a double off the left-center field wall. Karns (10-6) cruised to the win over seven innings. The Parker home run was the only run he allowed. He permitted six hits, walked one and struck out eight. The Squirrels finished the scoring with two runs in the bottom of the ninth inning off righty Ryan Perry. Game three of the final four-game series of the regular season is scheduled for 2:05 p.m. on Saturday night at The Diamond. Richmond LHP Jack Snodgrass (11-4, 3.79) will make the start against Harrisburg RHP Blake Treinen (6-7, 3.72). 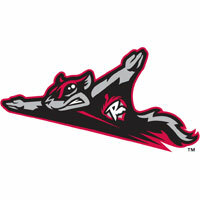 The Flying Squirrels Pregame Warmup will begin on Sports Radio 910, www.sportsradio910.com and IHeart Radio at 1:35 p.m.